These photos were shared on Weibo, a Chinese micro-blogging platform. A rat was caught ‘stealing’ rice at a convenience store and the staff decided to disgrace it after it was caught. 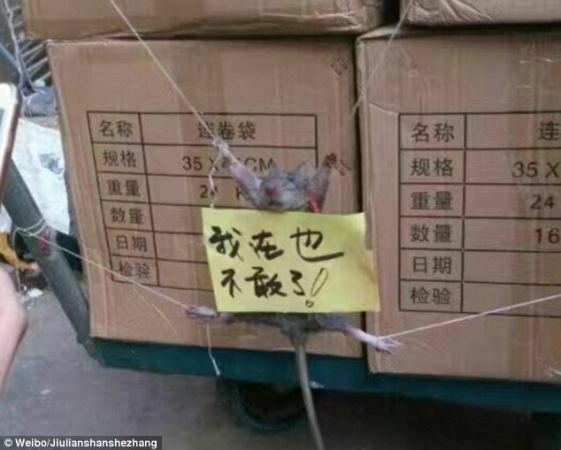 The uploader who confirmed the incident actually happened, said the rat was caught at a shop in Zhuhai city, Guangdong Province, which was owned by his friend.